Hundreds of thousands of Condé Nast Traveler’s readers have placed the city alongside Vienna, Florence and Barcelona. Every year the influential travel magazine Condé Nast Traveler, the self-proclaimed “global citizen’s bible and muse”, invites its readers to rank the world’s greatest travel experiences – including their favorite European cities. Some iconic big cities such as London, Paris and Rome are featured on the list annually. However, in this year’s survey – based on more than 300 000 reader votes, which is a new record – a few new destinations have made their way into the Top 20. One of them is Bergen. 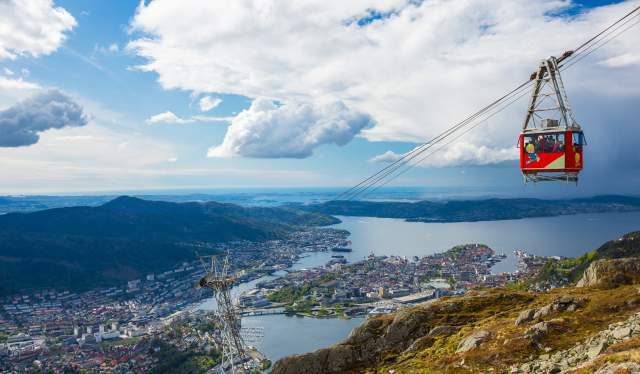 “It’s absolutely fantastic that Bergen has made this list,” says Bente Bratland Holm, Tourism Director at Innovation Norway, enthusiastically. “It’s about time that a Norwegian city is placed on the Conde Nast-list, and it’s not a coincidence that that city is Bergen – after many years of deliberate focus. The fact that the readers themselves have voted Bergen onto the list, makes it even more valuable. “This is great advertisement for Bergen and Norway – the type you can’t buy for money,” says Holm. 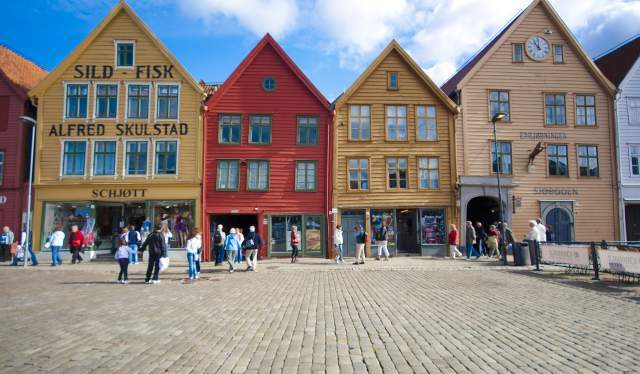 Ole Warberg, the general manager of the Bergen Tourist Board, is – perhaps unsurprisingly – happy about his home city’s inclusion among the top European destinations. "Here in Bergen we have a history of doing well in surveys such as these. What separates this particular one from many others is that it’s based on votes from readers and travelers, which makes it interpretable as slightly more objective and true than the ones based on editoral choices," he says. Warberg believes the ranking could affect the flow of foreign visitors – not the least from the United States. "With direct flights between Bergen and several American cities we’ve more than doubled the number of American tourists the last year. This might further contribute to a snowball effect." At the very top of Condé Nast Traveler’s list we find Vienna, with Florence, Italy and Bruges, Belgium in the second and third place, respectively. The Scandinavian cities are ranked as follows: Copenhagen is number 16 on the list, with Bergen as number 19 and Stockholm last among the 20 cities. While Oslo, as mentioned previously, is the subject of some good-natured teasing from Condé Nast Traveler this time around, there’s little reason for the Norwegian capital’s inhabitants to bow their in shame. In fact, recently Oslo was featured among the Top 10 cities for 2018 by another travel giant – Lonely Travel. Ole Warberg from the Bergen Tourist Board certainly has no intention of fuelling any rivalry between the two Norwegian cities. "We’re happy for Oslo when they excel in surveys like these. Sometimes they do, and sometimes we do. But the better one of us do, the more it benefits all of us," he says.